Over the last twenty-five years, I’ve written thousands of articles on story structure and storytelling. Here, I’ve gathered together a few of the best on the topic of theme. I hope you find them illuminating in concept and practical in application. It seems every author is aware of theme, but try to find one who can define it! Most will tell you theme has something to do with the mood or feel of a story. But how does that differ fromgenre? Others will say that theme is the message of the story. Some will put forth that theme is the premise of a story that illustrates the results of certain kinds of behavior. Taking each of these a bit farther, a story’s mood or feel might be “anger”. A message might be “nuclear power plants are bad”. A premise could be “greed leads to self-destruction.” Clearly each of these might show up in the very same story, and each has a somewhat thematic feel to it. But just as certainly, none of them feels complete by itself. This is because each is just a different angle on what theme really is. In fact, theme is perspective. Perspective is relationship. Theme describes the relationshipbetween what is being looked at and from where it is being seen. This is why theme has traditionally been so hard to describe. It is not an independent thing like plot or character, but is a relationship between plot and character. As a familiar example, think of the old adage about three blind men trying to describe an elephant. Each is like a character in a story, and their investigation of the beast is like the plot. One, feeling the tail comments, “It is long and thin like a snake.” Another, feeling the ear replies, “No, it is wide and flat like a jungle leaf.” The final investigator feels the leg and retorts, “You are both wrong! It is round and stout like a tree.” How each of those men felt about the elephant, how they understood it, depended upon his point of view, and the fact that it was an elephant. It is also true, that had another animal been the object of study, the perspective would have changed as well. It is one thing to tell your audience, “Greed leads to self-destruction.” It is another thing to prove it! Using a premise as the basis for your theme provides you with clear idea of what you hope to say, but it provides precious little guidance in how to say it. “Greed,” in our example premise, does not really stand alone, but has a counter-point of “Generosity.” Although the focus of our story will be on Greed, by also showing the contrasting impact of Generosity, we create a thematic conflict pitting point against counter-point. In our story, act by act, we need to explore both point and counterpoint several times to see the relative worth of each. BUT, we should never compare both DIRECTLY. Rather, the thematic point should be explored on several occasions to see how it fares. Interwoven in other scenes or moments, the counterpoint needs to be separately explored to see how it fares on its own. As the story progresses, the audience will begin to tally-up the independent value of each, averaging its benefits with its drawbacks. By the end of the story, when all examples of the worth of both point and counter-point have been presented, the audience will arrive at an emotional conclusion that one is better than the other. For example, Greed may seem to have a greatly negative impact in its first appearance, but slightly positive results in its second. A third appearance might see it as being neutral. Overall, the average of all three appearances rates it as slightly negative. In contrast, Generosity might appear ALSO greatly negative at first, then highly positive, then slightly positive. In the end, it averages out as slightly positive. The conclusion for the audience is that Greed is somewhat worse than Generosity. Emotions don’t see things as black and white. By avoiding the simple blanket statement made by a premise and “arguing” the relative worth of point and counter-point over the course of your story, you will create an “emotional argument” which will sway your audience to your point of view, rather than trying to hit it over the head. Every powerful theme pits a “Message Issue” against a “Counterpoint”, such as “Greed vs. Generosity”, or “Holding On To Hope” vs. “Abandoning Hope”. The Message Issue and Counterpoint define the thematic argument of your story. They play both sides of the moral dilemma. The most important key to a successful thematic argument is never, ever play the message issue and counterpoint together at the same time. Why? Because the thematic argument is an emotional one, not one of reason. You are trying to sway your reader/audience to adopt your moral view as an author. This will not happen if you keep showing one side of the argument as “good” and the other side as “bad” in direct comparison. Such a thematic argument would seem one-sided, and treat the issues as being black-and-white, rather than gray-scale. In real life, moral decisions are seldom cut-and-dried. Although we may hold views that are clearly defined, in practice it all comes down to the context of the specific situation. For example, it may be wrong to steal in general. But, it might be proper to steal from the enemy during a war, or from a large market when you baby is starving. In the end, all moral views become a little blurry around the edges when push comes to shove. Statements of absolutes do not a thematic argument make. Rather, your most powerful message will deal with the lesser of two evils, the greater of two goods, or the degree of goodness or badness of each side of the argument. In fact, there are often situations where both sides of the moral argument are equally good, equally bad, or that both sides are either good nor bad in the particular situation being explored in the story. 1. Determine in advance whether each side is good, bad, or neutral. Do this by assigning an arbitrary “value” to both the Message Issue and the Counterpoint. For example, we might choose a scale with +5 being absolutely good, –5 being absolutely bad, and zero being neutral. If our thematic argument is Greed vs. Generosity, then Greed (our Message Issue) might be a –3, and Generosity (our Counterpoint) might be a –2. This would mean that both Greed and Generosity are both bad (being in the negative) but that Generosity is a little less bad than Greed since Generosity is only a –2 and Greed is a –3. 2. Show the good and bad aspects of both the Message Issue and the Counterpoint. Make sure the examples of each side of the thematic argument that you have already developed don’t portray either side as being all good or all bad. In fact, even if one side of the argument turns out to be bad in the end, it might be shown as good initially. But over the course of the story, that first impression is changed by seeing that side in other contexts. 3. Have the good and bad aspects “average out” to the thematic conclusion you want. By putting each side of the thematic argument on a roller coaster of good and bad aspects, it blurs the issues, just as in real life. But the reader/audience will “average out” all of their exposures to each side of the argument and draw their own conclusions at the end of the story. In this way, the argument will move out of the realm of intellectual consideration and become a viewpoint arrived by feel. And, since you have not only shown both sides, but the good and the bad of each side, your message will be easier to swallow. And finally, since you never directly compared the two sides, the reader/audience will not feel that your message has been shoved down its throat. One problem with the premise concept is that it contains no built-in conflict. Rather, it simply presents a starting point, an ending point, and a non-specific path that might be anything at all. Since we are now examining the relative value of two alternative thematic approaches to life, we must also provide a judgment as to the outcome of each approach. So, we might say that “When Greed vs. Generosity, Greed will result in Self Destruction while Generosity leads to Success.” Now we have a premise full of potential conflict and a comparative conclusion that brings the audience to think, rather than to simply accept the inevitable. There is much more that can be done with a premise to not only provide conflict, but create a complete thematic argument that works with an audience’s heart, rather than through its intellect. Theme: What Are You Talking About? Without theme, a story is just a series of events that proceeds logistically and ends up one way or another. Theme is what gives it all meaning. When encoded into a story, theme will not be a universal meaning for all things, but a smaller truth pertaining to the proper way of dealing with a particular situation. In a sense, the encoding of theme moves the emotional argument of the story from the general to the specific. It the argument is made strongly enough, it may influence attitudes in areas far beyond the specific, but to be made strongly, it must limit its scope to precise encoding. If our thematic conflict is Morality vs. Self-interest, for example, it would be a mistake to try and argue that Morality is always better than Self-Interest. In fact, there would be few people whose life experience would not tell them that sometimes Self-Interest is the better of the two. Keep in mind here that Dramatica defines Morality as “Doing for others with no regard for self” and Self-Interest as “Doing for self with no regard for others.” This doesn’t mean a Self-Interested person is out hurt to others, but simply that what happens to others, good or bad, is not even a consideration. As an example, Morality might be better if one has plenty of food to share during a harsh winter and does so. Morality might be worse if one subjugates one’s life rather than displease one’s peers. Self-Interest might be better if a crazed maniac is charging at you and you kill him with an ax. Self-Interest might be bad if you won’t share the last of the penicillin in case you might need it later. It really all depends on the context. The thematic topic is the subject matter of your story, such as “death,” or “man’s inhumanity to man.” No matter what topic you will be exploring, it will contain large issues, small issues, and everything in between. In Act One, you need to introduce and establish your theme so that your readers or audience gets a sense of the kinds of issues you’ll be exploring. To do this, you have three different approaches available. 1. You could outline the scope of your subject matter with one or more large, definitive dramatic moments. Then, in acts two and three, you would gradually fill in smaller and smaller details, adding nuance and shading to the overall topic as the story progresses. This system is best when trying to apply topics that are often seen objectively or impersonally to everyday life. 2. Conversely, you could begin with the details in Act One, then move to larger concerns as the story progresses. This is a good way to elevate topics dealing with commonplace, mundane, or work-a-day issues to philosophical or global importance. 3. Finally, you could mix it up, presenting a blend of issues ranging from the large to the small in every act. This creates a feeling that the topic is an area to explore, rather than a statement to be understood. 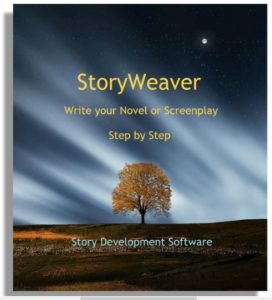 Whichever approach you take, the pattern needs to be set up in Act One so your reader or audience can follow. So determine which approach you wish to take and then create specific examples that illustrate your topic, both in a large and small way. Finally, pepper these examples into each act as the scope of your topic broadens, narrows, or contrasts the two extremes as it goes. I hope you have enjoyed these articles on theme. If so, please stop by my web site at Storymind.com for many more. 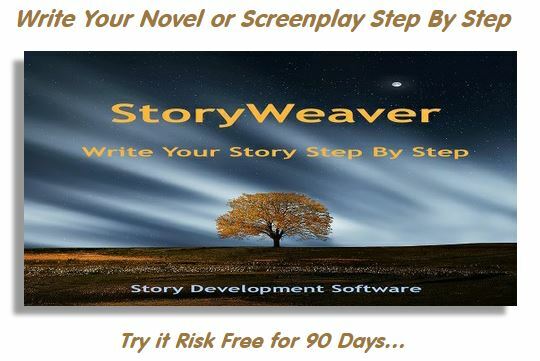 And while you are there, try free demos of our software products for writers to help you develop your story’s world, who’s in it, what happens to them, and what it all means.